CanaglifTM is indicated as an adjunct to diet and exercise to improve glycemic control in patients with type 2 diabetes mellitus. The recommended starting dose of CanaglifTM is 100 mg once daily, taken before the firstmeal of the day. Dose can be increased to 300 mg once daily in patients tolerating CanaglifTM100 mg once daily who have an eGFR of 60 mL/min/1.73 m2 or greater andrequire additional glycemic control. If the eGFR of Patients is 45 to 60 mL/min/1.73 m2, the dose of CanaglifTM should be 100 mg once daily. 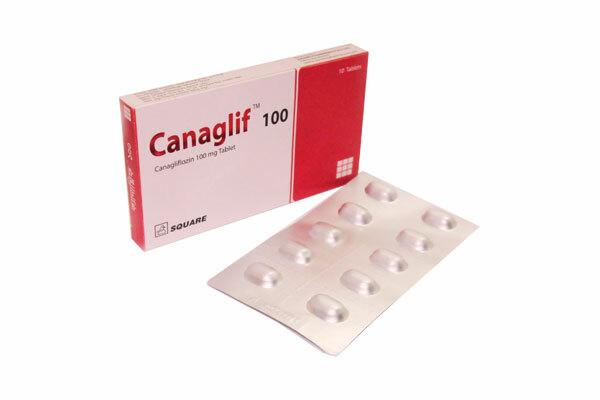 CanaglifTM Tablet: Each box contains 10 Tablets in blister pack.